The base is raisin bread which I love on it’s own slathered with butter for breakfast. Instead it’s topped with a milk and egg mixture and brown sugar and cinnamon topping. It’s sweet, yes, but so darn yummy! I guess another name for it could be a french toast casserole. It has just a few extras in it. This casserole did not last long! I put a little bit of maple syrup on mine, but it would be fine without too. I know I’ll be making this recipe again and SOON! For more breakfast casserole recipes, check out my Caramel Pecan Breakfast Casserole, Wife Saver Breakfast and Hash Brown Quiche. Do you prefer a sweet or savoury breakfast? 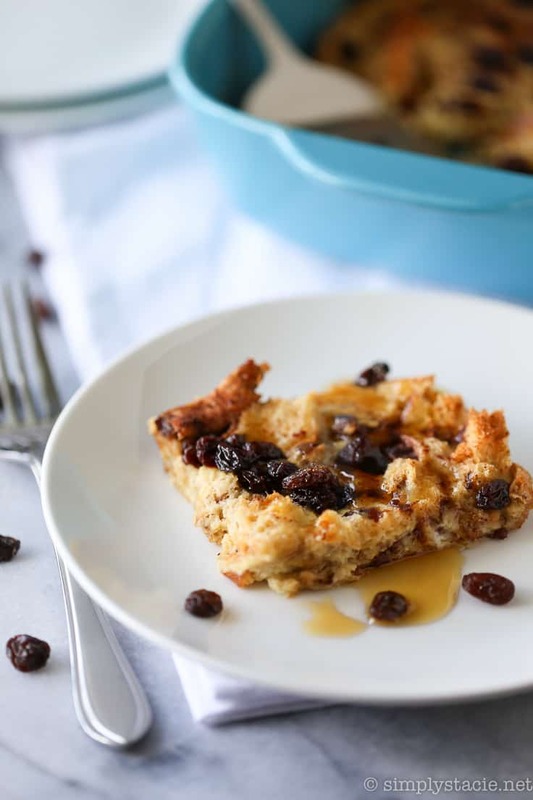 Sweeten your mornings with this divine Cinnamon Raisin Breakfast Casserole recipe! 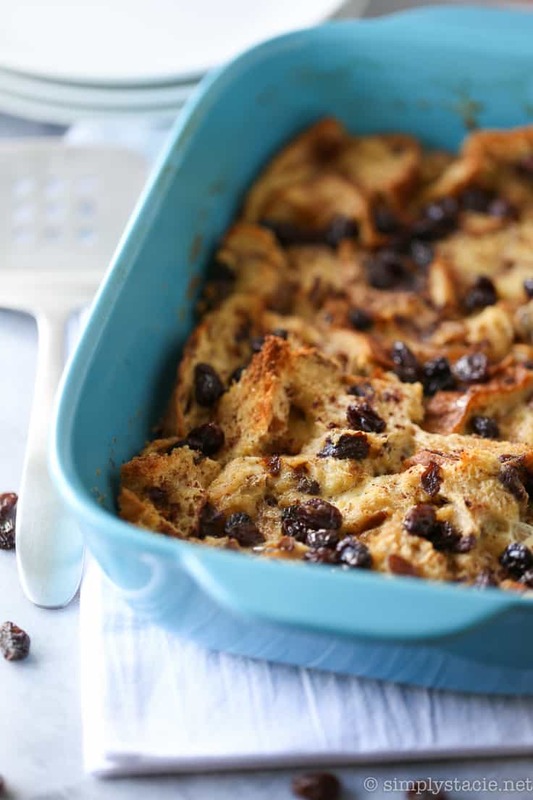 It’s bursting with raisins, cinnamon and yummy raisin bread. Preheat oven to 350F. Grease a 9×13 baking pan. Rip up raisin bread into bite sized pieces and layer at the bottom of the baking pan. In a large mixing bowl, whisk together the eggs, milk, vanilla, salt and nutmeg. Pour evenly over top of the bread. 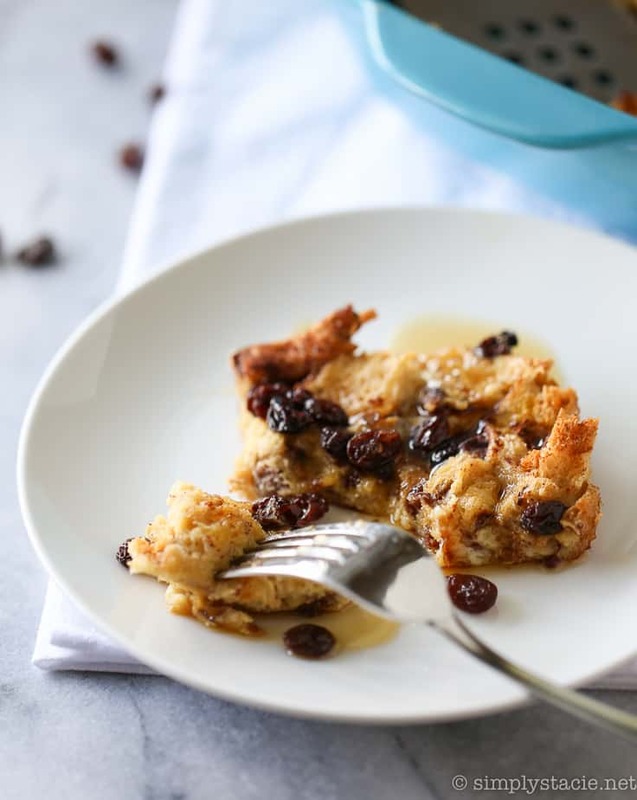 Sprinkle brown sugar, raisins and cinnamon evenly over top. Cover with aluminum foil. Bake for 30 minutes. Remove aluminum foil and bake for an additional 10 minutes. Serve hot. Drizzle with maple syrup, if desired. 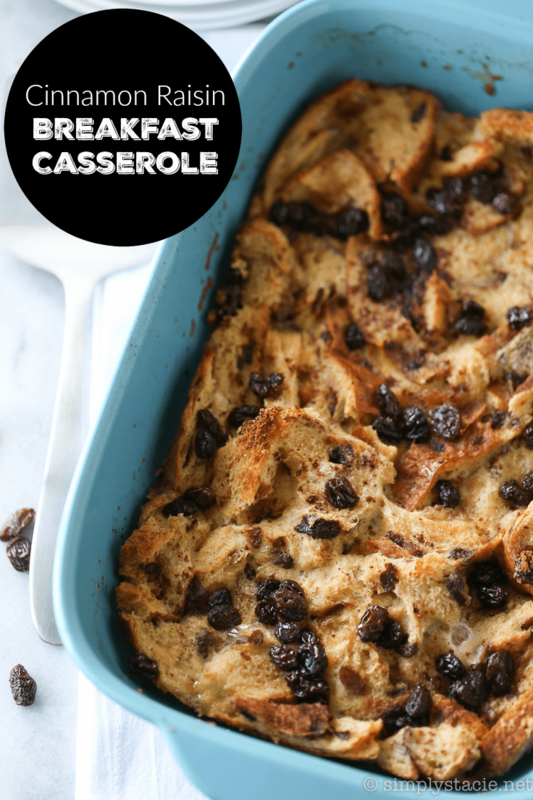 I love raisin bread, so this is right up my alley! I really like this recipe, thank you! 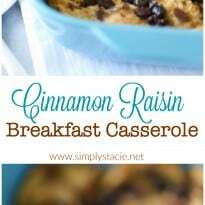 This recipe is so me but my son will go hungry, he hates cinnamon. Still that just means more for me right? My mother-in-law visits for Thanksgiving. I bet she’d love this! I just need to check if she likes raisins! Do you let this one sit overnight? You don’t have to let it sit overnight unless you want to. 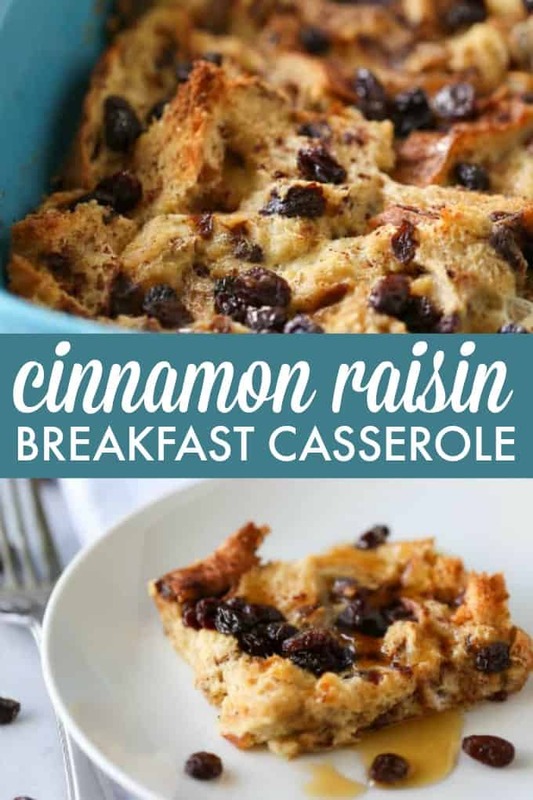 This would be perfect for Mother’s Day breakfast !